The thought has crossed my mind to participate in a photo a day challenge next year and I like the idea of having the album be more streamlined than how I mix and match my monthly Project Life pages. 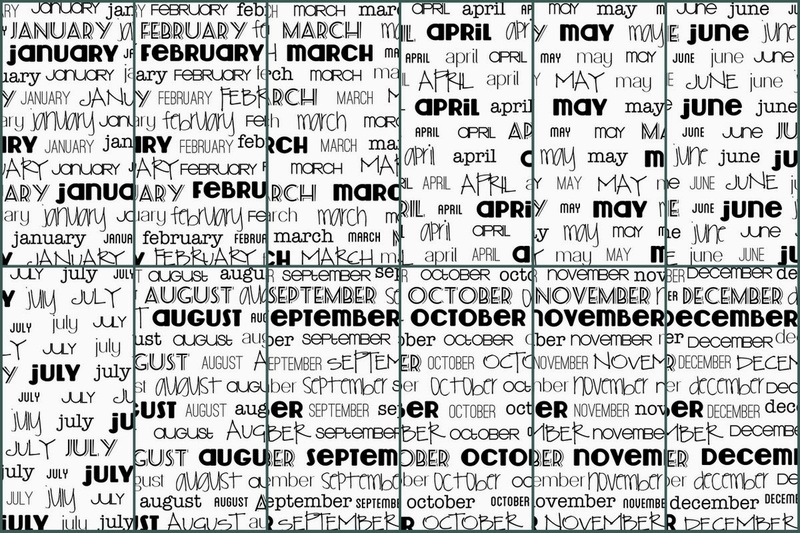 Since I love fonts (a lot), I was inspired to create these month cards as a way to showcase some of my favorites. 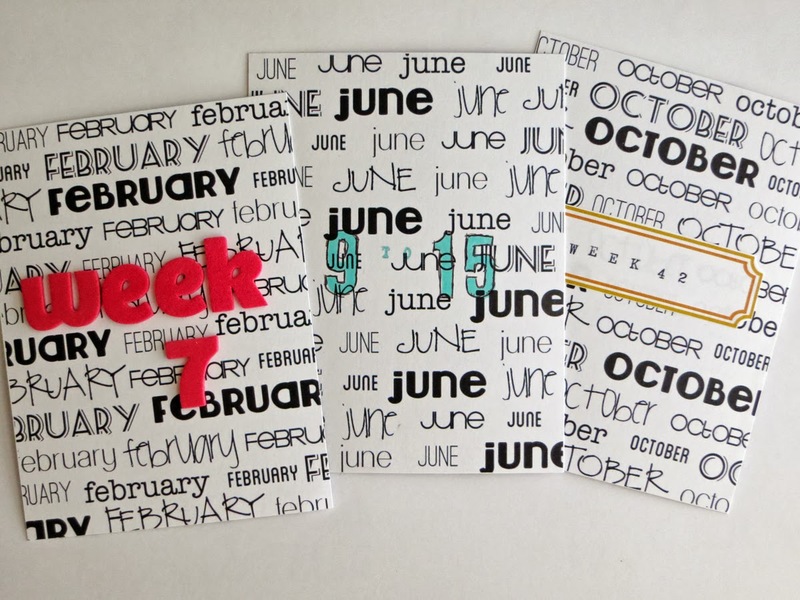 The cards are vertical 3"x4", and of course you can use them as title cards for each week. 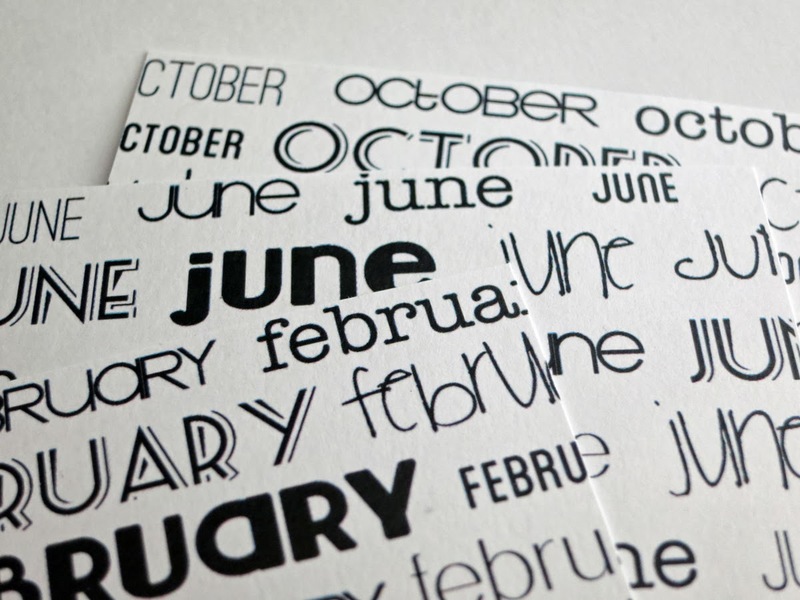 If you use them as week cards, you could cut them in half to show the two months when a week overlaps. You can download the printables HERE, free for your personal use! These are so much fun! Thank you for sharing! Oooh love those printables..those are perfect for PL! What fun cards! I have some PL cards on my blog too! Those are super cute! Pinning them!